We welcome you to explore a pioneering art technology by curating your own Tyree Guyton art print! With a new concept introduced by Unstable, every print is one-of-a-kind and presents an opportunity to connect with Tyree in a brand new way. Within the print content, we have combined three historical motifs reflecting a career spanning 32 years: Houses, Headlines and those Iconic Faces. Each print is signed by Tyree and uniquely numbered. AND, with this unstable edition, you will receive a certificate of authenticity that is specifically linked to your print. This is an important distinction meaning that Tyree Guyton is the world's first artist to have a dedicated print edition blockchain for best in class provenance that you can track for generations. This is also a first for the art community and we are excited to have Tyree at the forefront as we explore new concepts and innovations. Opportunity is limited so EXPLORE, CURATE and ORDER today! 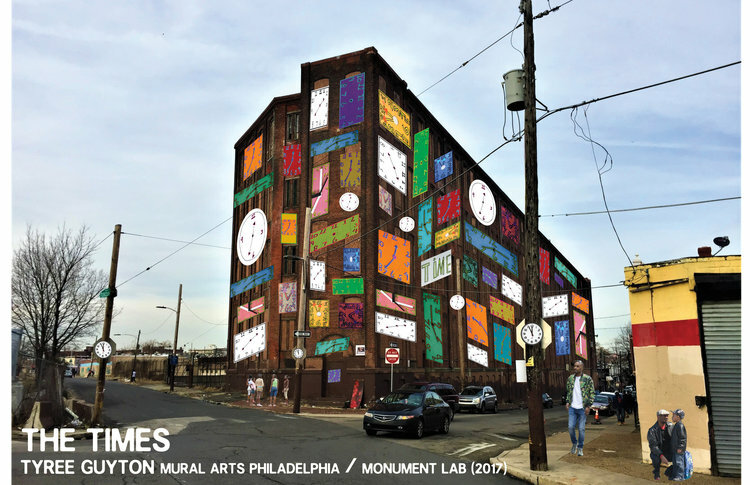 Monument Lab, coming to Philadelphia in fall 2017, is a public art and history project produced by Mural Arts Philadelphia. The project, taking place over nine weeks between September 16 and November 19, invites people to join a citywide conversation about history, memory, and our collective future. Guyton's new installation, "The Times" opens to the public on Saturday, September 16th! Now is your chance to purchase a Tyree Guyton original! 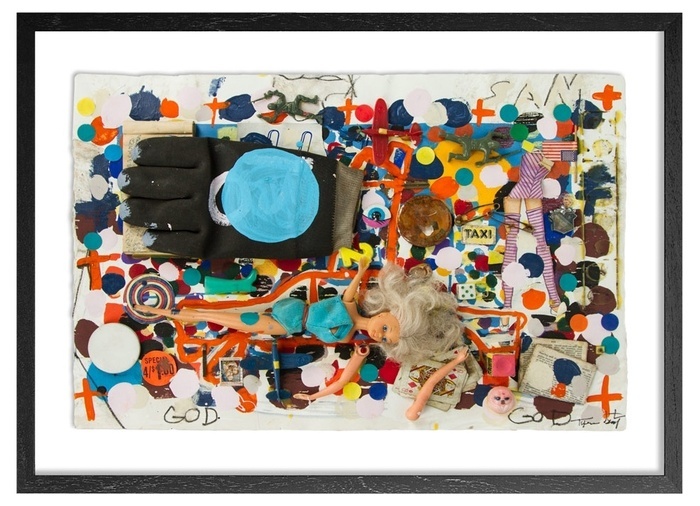 While numerous pieces from the Heidelberg Project will enter into the permanent collections of museums around the world, this Paddle8 auction is a unique blend of Guyton’s studio practice and outdoor creations from Heidelberg Street, presenting a very rare opportunity for collectors to own a distinctly important piece of American history. A portion of the auction proceeds will benefit the Heidelberg Project and our vision for Heidelberg 3.0. Visit Paddle8 to view the collection and to place your bid, this special benefit auction closes on Monday, July 31st at 5:00 p.m. ET.